Start quilting today! 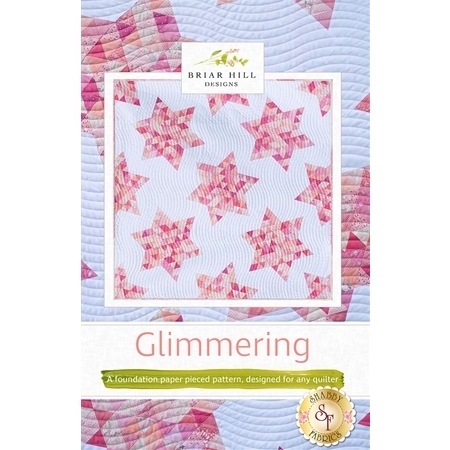 From Briar Hill Designs comes the gorgeous multi-faceted star quilt, Glimmering! 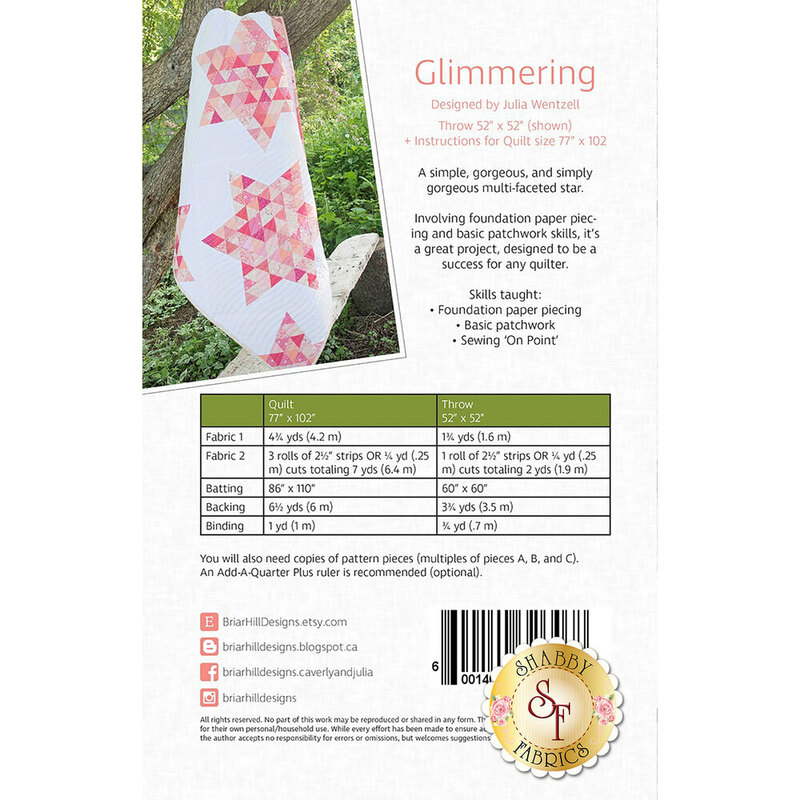 This is a foundation paper pieced pattern, designed for any quilter. Skills taught: Foundation paper piecing, basic patchwork and sewing "on point". Includes instructions for a throw (measuring 52" x 52") and a quilt (measuring 7" x 102"). Pre-Cut friendly!